Following up on the reports from yesterday in which the owners of the Orpheum Theater were suing the producers of "Stomp" to prevent the 21-year-old show from leaving the neighborhood. 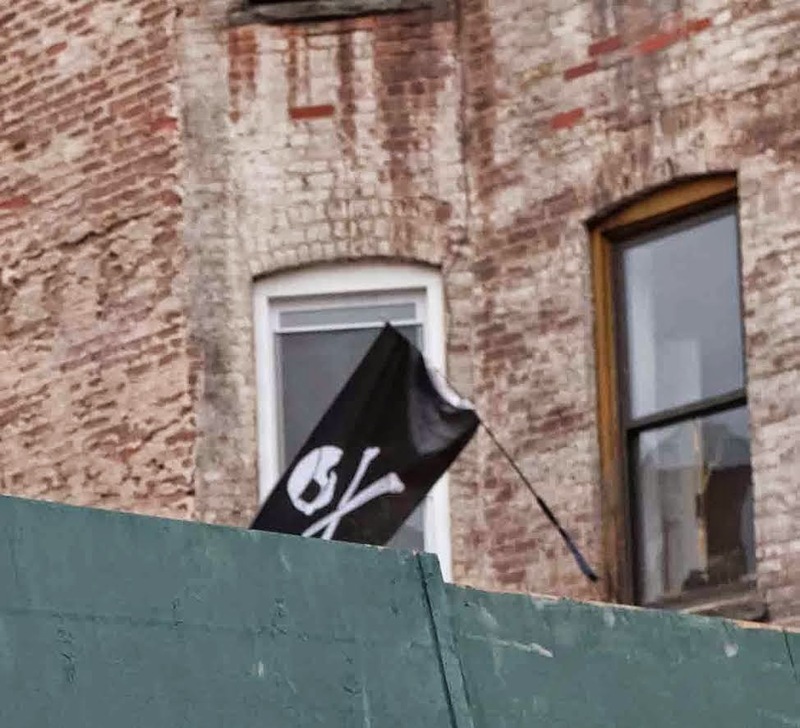 However, a Manhattan judge ruled yesterday that the production is allowed to discontinue its contract and move on to a new theater in Midtown. Glenn Spiegel, a lawyer for 'Stomp''s producers, said the show has been a 'cash cow' milked for years by Orpheum’s owners who have refused to maintain the historic theater for years. "'Stomp' did not want to move,” but 'it smells like sewage' in the lobby, the carpets are in a state of disrepair and there are signs in the rest rooms asking people to dispose of soiled toilet paper in the waste basket, not the toilets, Spiegel said. The lawyer also said patrons have complained about rats, which have been seen in larger numbers in the neighborhood since a gas explosion two doors down on Second Ave. leveled three buildings and killed two people on March 26. "The show decided we can’t function like this any more," he said. 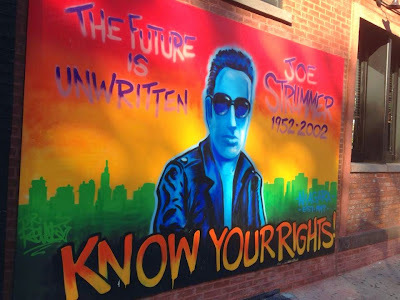 However, Manhattan Supreme Court Justice Jeffrey Oing told "Stomp"'s lawyers "that he will hold the production liable for damages — and will undo its contract with the new theater — if an arbitrator rules that 'Stomp' had no right to move. As for the Orpheum, reps argued that they had been in the process of making the repairs and that the "Stomp" producers should allow the theater some more time before their departure. Their primary concern is that the venue will suffer financially without the show, according to an article in Playbill. 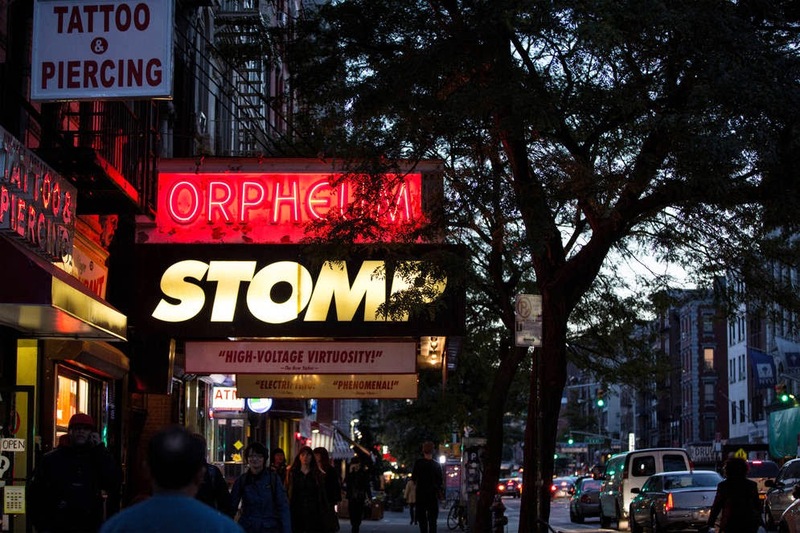 As for when "Stomp" might leave for New World Stages, a multi-theater complex on West 50th Street, the News mentioned it would happen as of June 15. 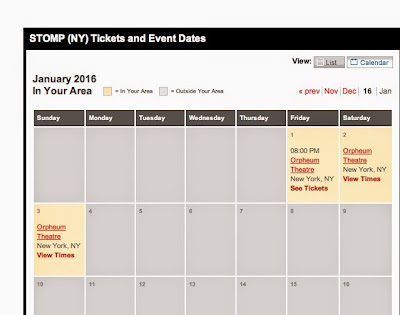 We just checked the "Stomp" website and found tickets available at the Orpheum through Jan. 3, 2016. 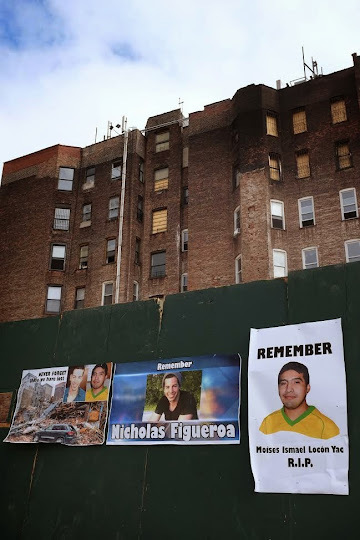 Moises Ismael Locón Yac and Nicholas Figueroa died during the blast at 121 Second Ave. on March 26. CB3 released its slate of meetings for May yesterday … including for the SLA licensing committee. For starters, the meeting is May 18 at the CB3 office (BYOB), 59 E. Fourth St. between Second Avenue and the Bowery. 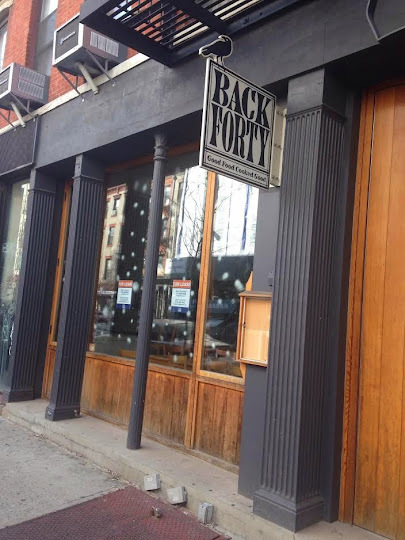 An applicant for the former Back Forty space. The seemingly popular restaurant rather abruptly shut down after service on Dec. 21. 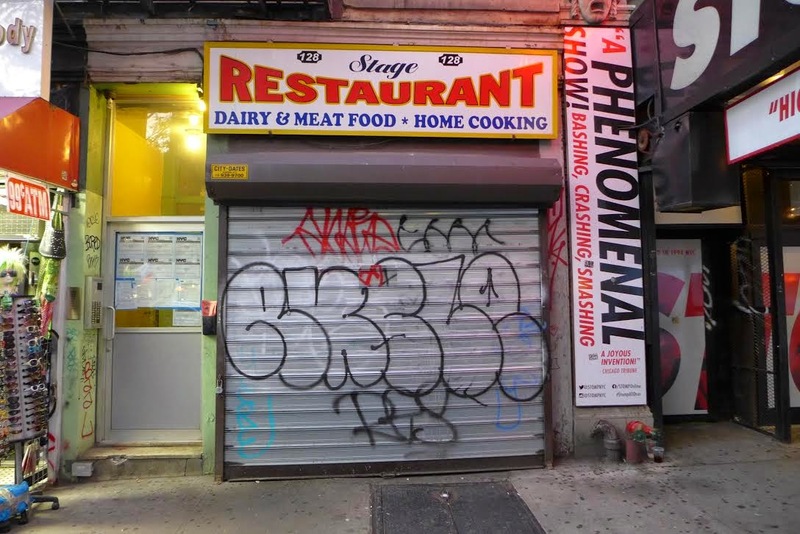 And an applicant for the former BAD Burger space between East 10th Street and East 11th Street. BAD closed in March after three-plus years. 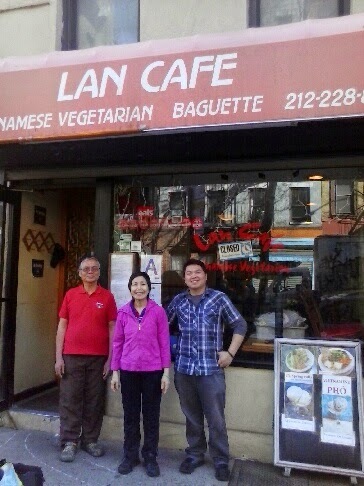 We discussed the possible sidewalk cafe last July. 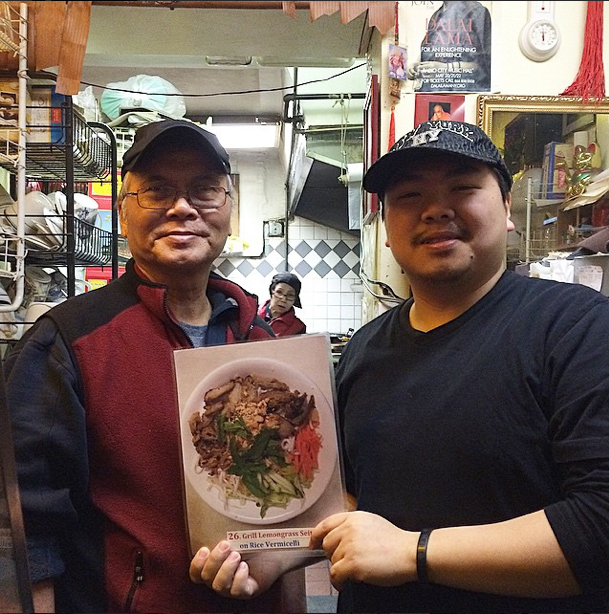 As we first reported back in March, Hou Yi Hot Pot is converting the former laundromat into a restaurant here between East Fifth Street and East Sixth Street. Gingersnap's left this space just west of Avenue A back in January. The address for the LLC listed for the applicant matches up with the address for Ravi DeRossi's (Death & Co., Amor y Amargo, etc.) HQ. Looks like he's coming back to East Seventh Street after the Bourgeois Pig left the neighborhood. Stay tuned for more details on his latest project. Some beer for your wings. As we first reported, the Vietnamese vegan restaurant at 342 E. Sixth St. between First Avenue and Second Avenue was closing at the end of this month. The above sign has greeted customers the past few nights: "Due to difficult economic times and high rent these past few years, we are sad to announce that Lan Cafe will be closing its doors permanently." "We are truly sorry for any inconvenience we have caused[d] you all these years." 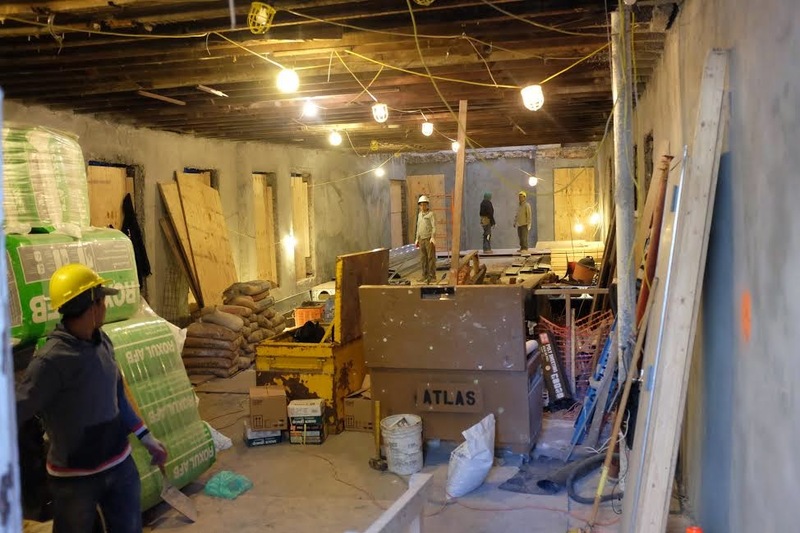 We haven't checked in on the conversion of the Congregation Mezritch Synagogue at 415 E. Sixth St. into luxury condos in four-plus months. Back in January, the Daily News reported that sales for the three units will start this fall. The landmarked building between Avenue A and First Avenue was reportedly in disrepair and the congregation's population had dwindled. 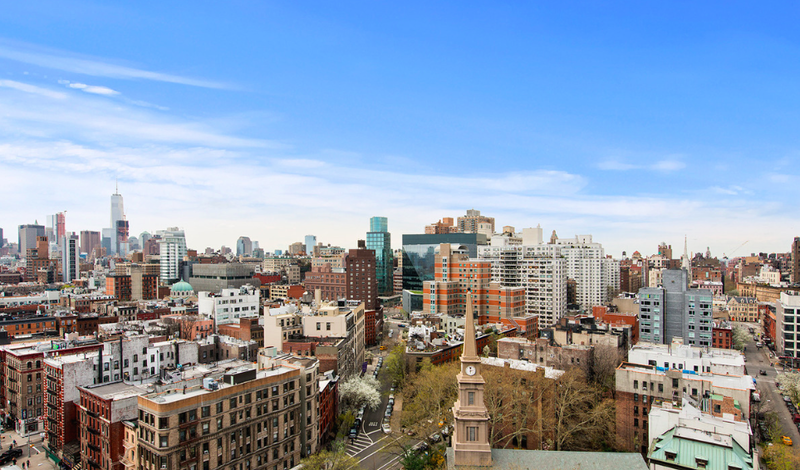 Synagogue leaders signed a 99-year lease with East River Partners worth some $1.2 million. The renovations include a penthouse addition and an elevator. The synagogue will retain space on the ground floor for their use. "Some people are purists and they wanted to keep the building exactly as it was," Robert Rand, president of the synagogue's board, told the Daily News. "But that would have been tantamount to benign neglect. This was the key to survival." Sophie's, the bar at 507 E. Fifth St. just east of Avenue A, is closed tonight while a film crew preps the exterior for a scene for the Netflix Marvel series "A.K.A. Jessica Jones." 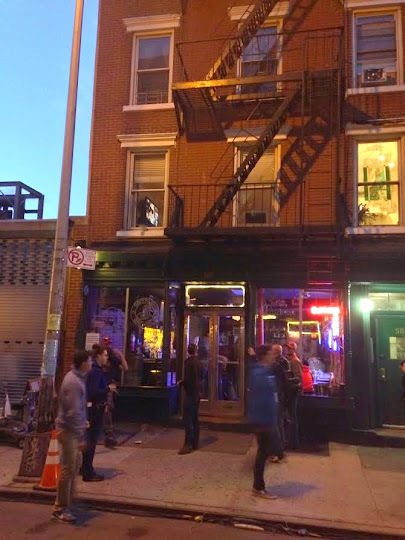 Sophie's co-owner Richard Corton confirmed this evening's closure to us… in the scene being filmed, a bouncer will apparently 86 the show's lead, a former super hero played by Krysten Ritter, who falls or is pushed into some trash. Will have to wait for the series premiere to find out why. The Vietnamese vegan restaurant at 342 E. Sixth St. between First Avenue and Second Avenue closes for good at midnight. 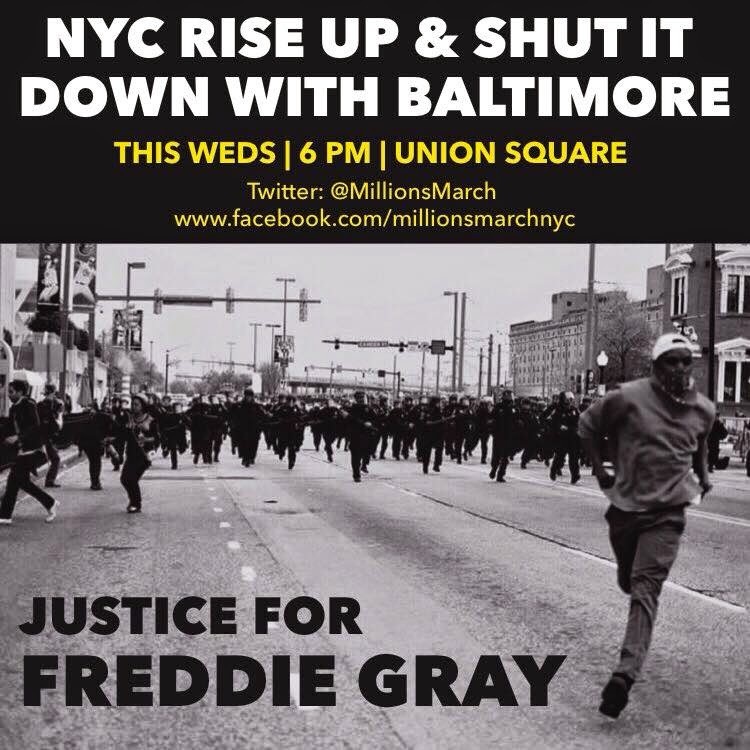 We call on New Yorkers from across the five boroughs, #BlackLivesMatter activists and organizations as well as all organizations that stand for social, economic, and racial justice to rally at Union Square this Wednesday at 6pm. People of Baltimore have taken to the streets day after day for justice for Freddie Gray and for Black lives across the country but now that the National Guard has been called in and a curfew set, we must stand in solidarity with the people of Baltimore. The media will continue to paint the people of Baltimore as rioters and looters but people forget that the City and Police of Baltimore loot and destroy Black and Brown communities of Baltimore every day of the year. Rally at Union Square at 6pm on the North Side of the Square (on 17th street) to show the people of Baltimore that we stand in solidarity with them and with their resistance because their resistance is for justice and their justice is our justice. Owners of The Orpheum Theater, where STOMP has played for 21 years, say the producers of the show are violating a licensing agreement requiring them to give the landlord more notice and valid reasons if they want to relocate. 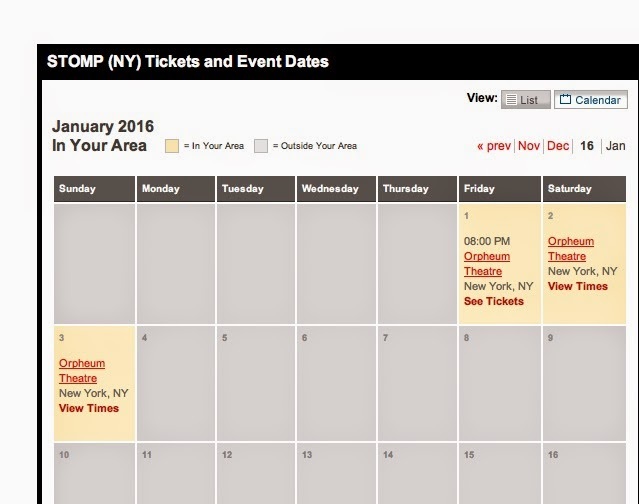 STOMP’s producers notified Orpheum “out of the blue” last week that they plan to move out as of June 15, according to court papers. 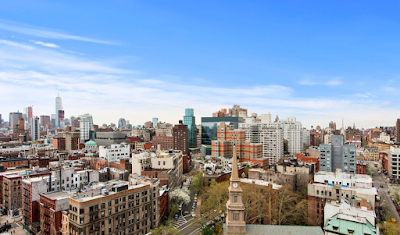 They have arranged to go to a rival off-Broadway theater, New World Stages, a multi-theater complex on West 50th St. The producers said they are leaving because the air conditioning system at the historic Orpheum Theater has been inoperable for 72 straight hours — triggering their opt-out clause. 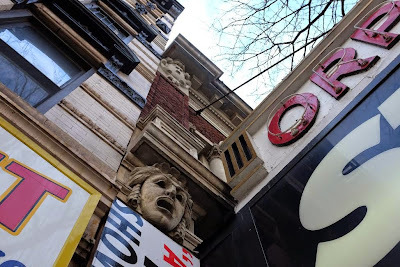 For their part, an attorney for the Orpheum on Second Avenue between St. Mark's Place and East Seventh Street says that such a sudden move will cause "serious and irreparable harm" to the theater. The Orpheum says that they do not any other productions in the pipeline. Per the News: "The theater is asking the court to issue an emergency order blocking STOMP from making the move and forcing the producers to arbitration as required by the license." The News has updated their story here. 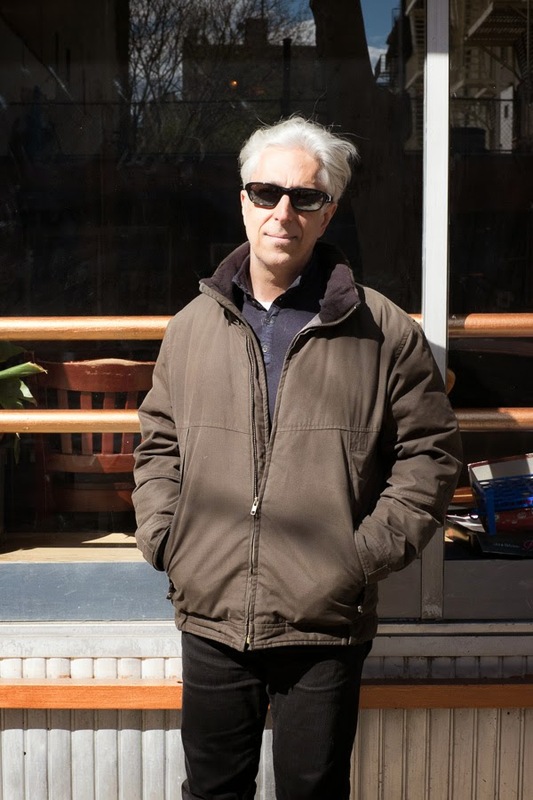 Landlord Icon Realty has accused the Stage of illegally siphoning gas, which was the basis for a recent eviction notice in the aftermath of the deadly blast across from the diner on Second Avenue. Roman Diakun, the owner of the 35-year-old Stage, has previously denied any wrongdoing. Diakun "says in his Manhattan Supreme Court suit that Con Ed advised him to hire a plumber to restore gas service four days after the March 26 building explosion. 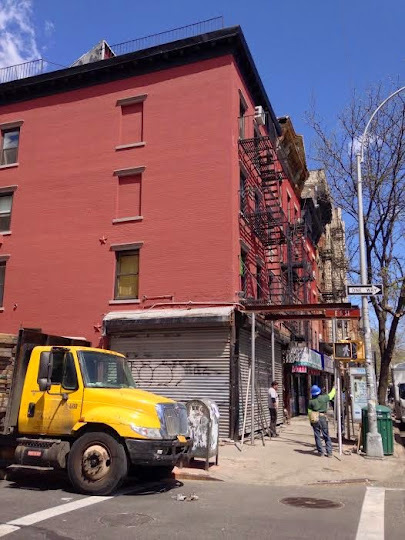 Diakun says there was no siphoning, claiming the plumber he hired discovered a gas leak in the basement of 128 Second Ave. and then removed extraneous pipes to fix the problem. Since the explosion, 128 Second Ave. has accrued 87 violations with the Department of Housing Preservation and Development, along with two additional violations and a stop-work order from the Department of Buildings, according to city records. The building has been without heat, hot water, or cooking gas for three weeks. Icon bought the building in October 2013. 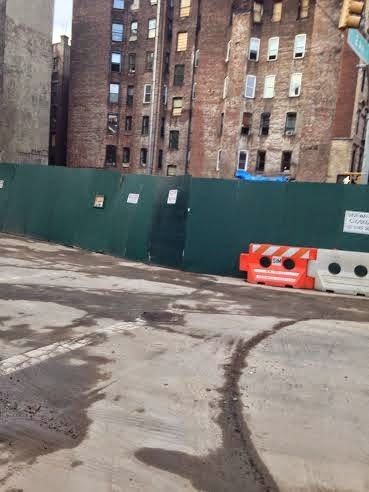 The Stage, 128 Second Ave. between St. Mark's Place and East Seventh Street, has been closed since March 30. I’m originally from Flatbush, Brooklyn. All my family are Brooklynites. My parents moved out to Long Island during the early 1960s when everybody moved out to the suburbs. I lived by the water. So by the time I was 18, I was a real beach kid. The people I hung out with were all artists and musicians. We were all sort of an artsy crowd as teenagers, but I got bored with that, so we started hanging out here in the 1970s, around 1974. It was dangerous; it was wild. 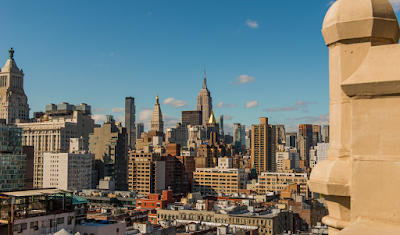 The city was a shithole, plain and simple — an absolute shithole. It was everything that you wanted as a teenager. There was graffiti everywhere; there was filth everywhere. The buildings were dirty; the air was dirty. There were a lot of things happening in the city. For young people, it was interesting and exciting. 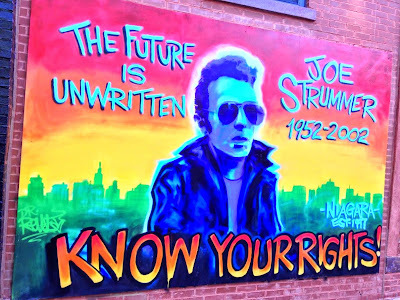 There was a lot of good music, a lot of good blues, a lot of good rock, and lot of good performance art. There was a lot of interesting graffiti. 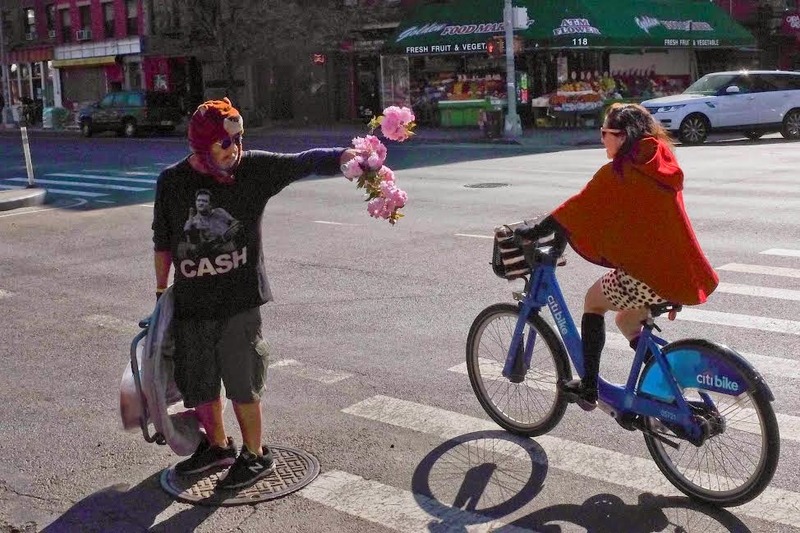 The city was a big crucible of art — in all forms. I had friends who were artists here. They went to Cooper Union. We used to have scotch parties and clam bakes in the school. I remember going to loft parties on the Bowery, and we sat on the ledge of the window and smoked joints and just watched the city. There was almost nobody on the streets. 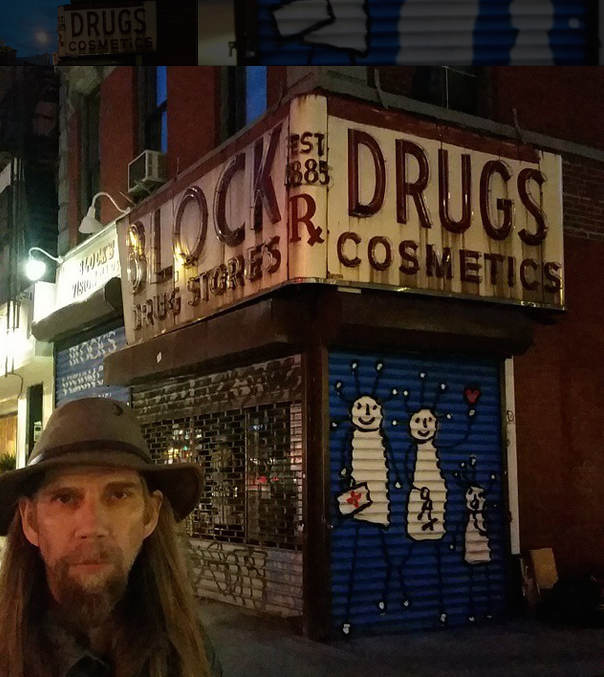 Where the Bowery Hotel is, I remember that was a gas station and there were two junkyard dogs that used to sleep on the pavement ... you could walk right by them and they wouldn’t bother you. I remember on Second Avenue seeing the junkies hanging out by Gem Spa and we used to call them weebles because they would be standing there with the phone in their hand at the public telephone and they would be leaning over so far that it would be impossible for any human to do that without falling over. That’s why we called them weebles because they would never fall over. Second Avenue was bad and then it pushed back to First and then to Alphabet City. I’ve had so many careers. I started out in music, as a soundman for a 10-piece bar band with horns and everything. They broke up and then I went to cooking school in Philadelphia. I moved there in 1985 and Philly food-wise was the place to be for some strange reason. I don’t know why and I just happened to be there. 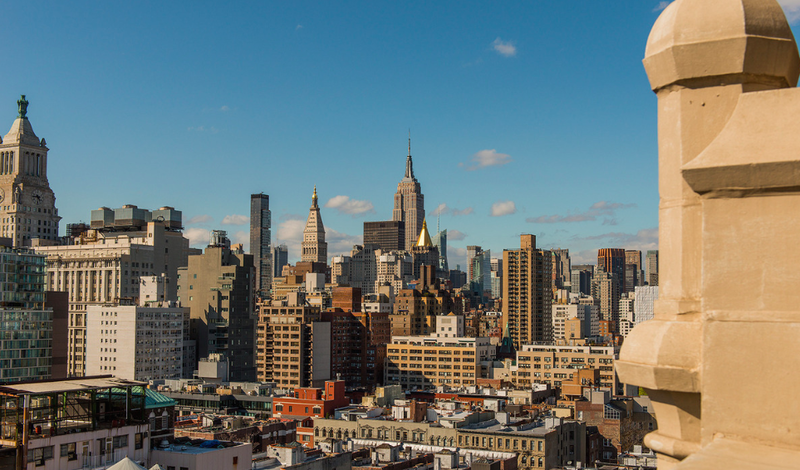 I had a great time there and the people were great, but I was a New Yorker. I came back in 1988 and I moved into my apartment on 6th Street. 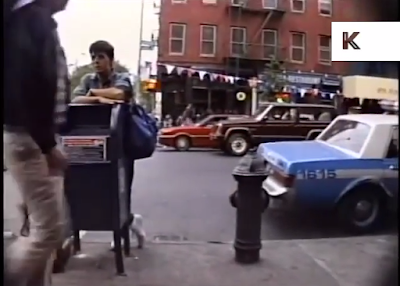 New York in the 1980s was a great place to be a cook. Food started taking off like crazy. If you were a good cook, and I was a good cook, you could get a job anywhere. I spent 12 years cooking and I moved up the ranks. I must have worked at maybe 15 restaurants, anything from neighborhood places to two- and three-star places. I then took a job and opened a restaurant in Warsaw, Poland, for a couple in LA, in 1995. My friend called me from LA and said, ‘Hey I got some friends who want to open a restaurant in Poland, do you want to do it?’ My interview was at the Delta Air Lines lounge at JFK and then like six months later I was in Poland opening a California-style cuisine restaurant. It was tough because they didn’t have a restaurant industry. Then I came back to New York. I worked in a couple of restaurants and then I got a job at a cooking school on 21st Street as the steward. I worked my way into director of operations and I just retired from it. After 25 years of cooking, I hate cooking now. I’ll make a big batch of something and I’ll put it in the freezer. I appreciate the fact that the city has come up in that it’s renovated and clean, safe and the subways are efficient. You can ride the subways at 3 in the morning and be relatively safe. Now it’s very expensive. A drink will cost you $20. That was a joke when Studio 54 opened up in the heyday of the disco days. Now that’s the normal price. And everything’s a little too precious. I appreciate artisan this and artisan that but it’s gotten to the point where everything is so precious. 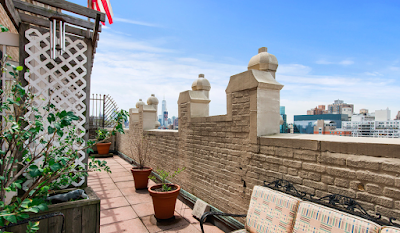 There's a new listing for a penthouse unit at 170 Second Ave. at East 11th Street. 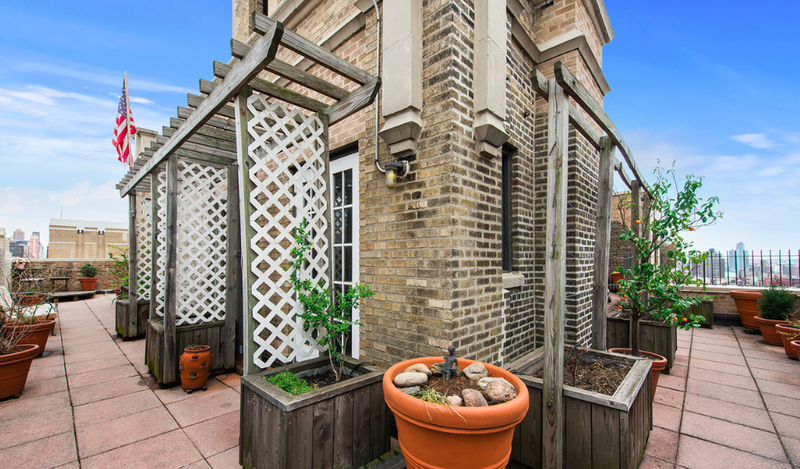 This lovely residence is a "diamond in the rough," waiting to be updated into a refined "modern classic." Many of the original details have been kept intact including parquet oak floors, beamed ceilings, cut glass doorknobs and original deco light fixtures throughout. A large central entry foyer/gallery opens onto the spacious dining room and living room which has a wood burning fireplace and 10-foot ceilings. Two sets of French doors lead directly onto that glorious terrace which wraps the home on all sides. Both spacious bedrooms boast abundant northern light and ample closet space. The large, original bathroom features a cast iron soaking tub and separate shower. This "diamond in the rough" is asking $3 million. 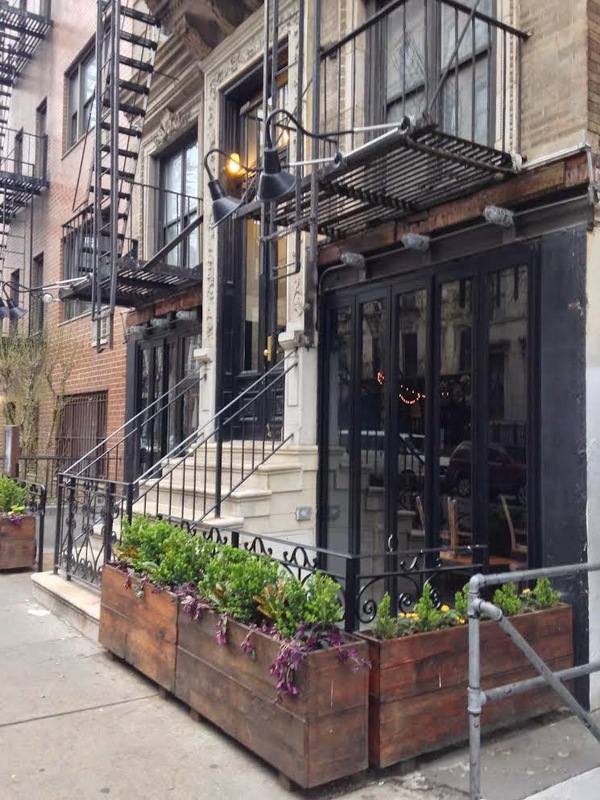 Timna is now in soft-open mode at 109 St. Mark's Place between Avenue A and First Avenue. The space previously housed Hummus Place. 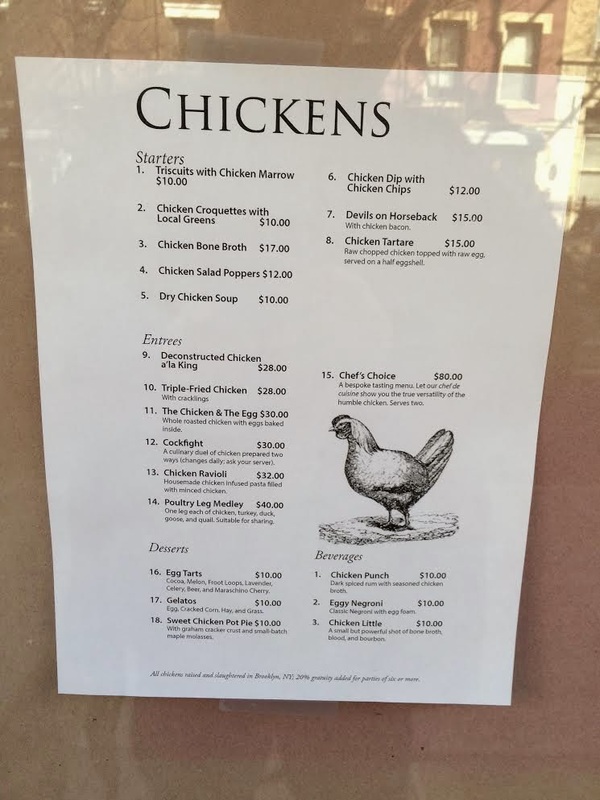 However, as Eater first noted, Hummus Place owner Ori Apple decided to upgrade the space and offer more menu choices. There are plans for Yemenite kubaneh bread, tacos made with Jerusalem's signature mixed grill of sweetbreads, preserved lemon, and tahini, and sea bass sashimi with tabouli and tzatziki. Hummus Place closed for renovations in early February, never to reopen again (at least as Hummus Place). Gothamist posted two other East Village home movies from the same time … which came via the Kinolibrary archive film collections. 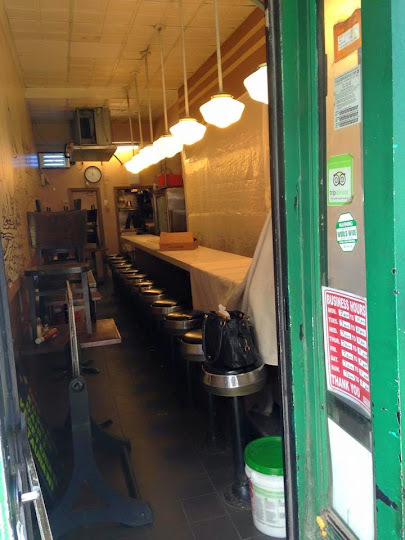 Unfortunately, it has been slow going for the lunch counter to reopen at 127 Second Ave. since the deadly gas explosion on March 26. 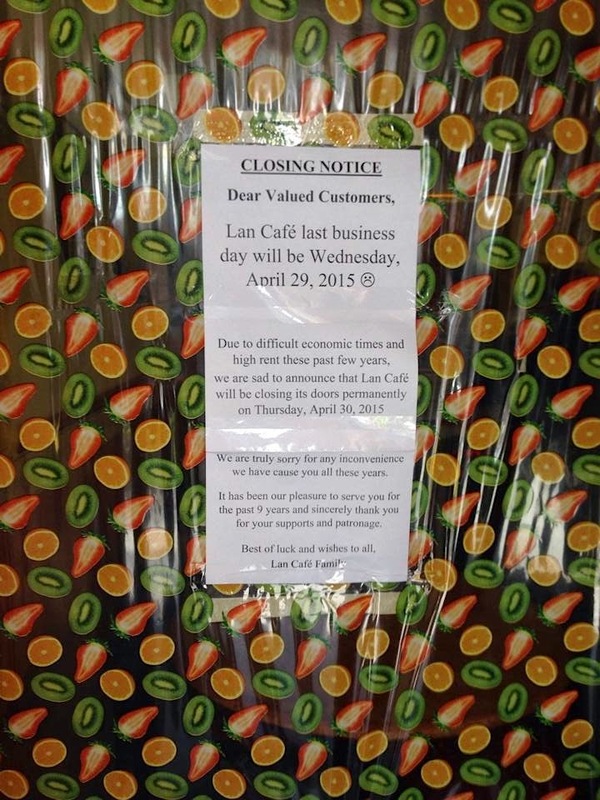 In a separate post he wrote: "Meeting for business still one more week so sad." Workers today removed the rest of the construction and sidewalk bridge that has encased 95 Avenue A for several months. Apparently the structural repairs (sinking building???) here at East Sixth have been made. 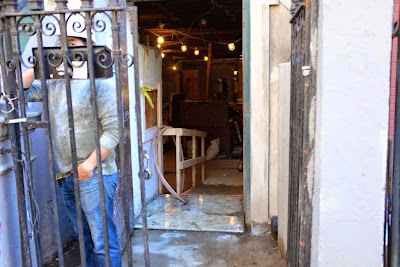 During the rehab, Gin Palace, one of the three bars (along with Cienfuegos and Amor y Amargo) that make up the retail component of the building, closed for service last November. As the Times reported last week, work gutted the Gin Palace interior. 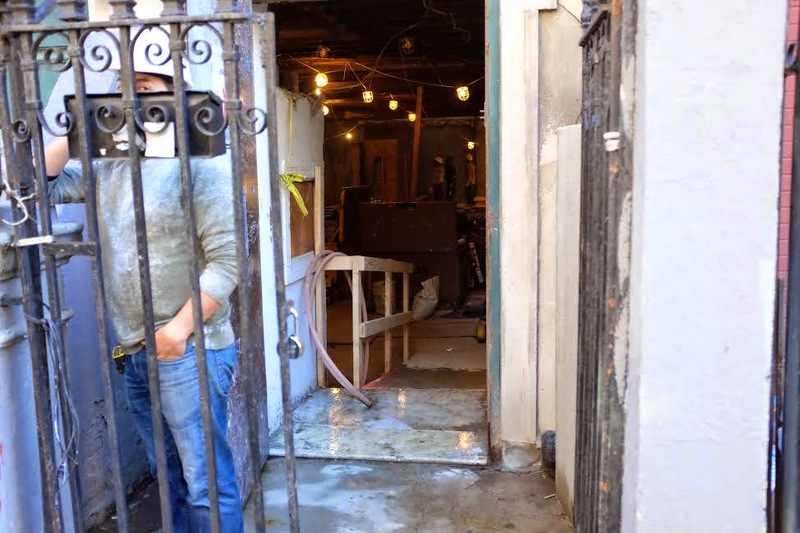 So co-owner Ravi Derossi is taking the opportunity to re-imagine the space, opening a "tiki-influenced" bar later next month called Mother of Pearl. A familiar face at First Avenue at East Seventh Street via Derek Berg. Tough times for some bars/restaurants on the north side of St. Mark's Place between Avenue A and First Avenue. On April 10, the state's fluorescent SEIZED sticker arrived at sister bars The Belgian Room and Hop Devil Grill. Both establishments have yet to reopen. And now there's a Marshal's notice (photo above) on the door at Luca Bar, 119 St. Mark's Place. 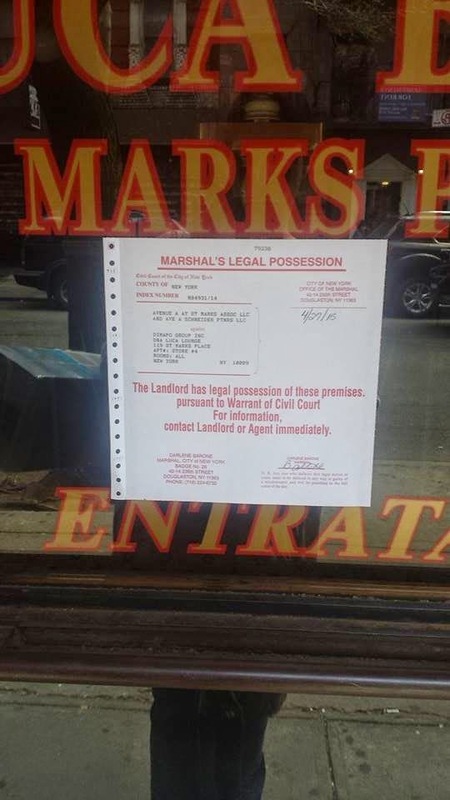 And this isn't the first time that the Luca Bar has had landlord/tax-related issues. There was an eviction notice posted here back in November 2013. The bar reopened several days later. The state also seized the property in June 2011. 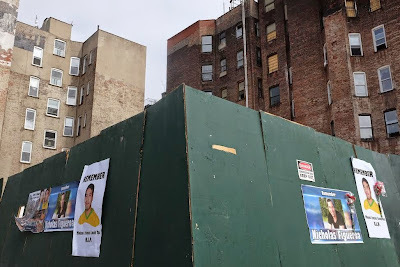 Machendra Chongbang, 28, is seeking unspecified damages in Manhattan Supreme Court for his injuries, which include possible brain damage from a severe concussion, abdominal and knee injuries. 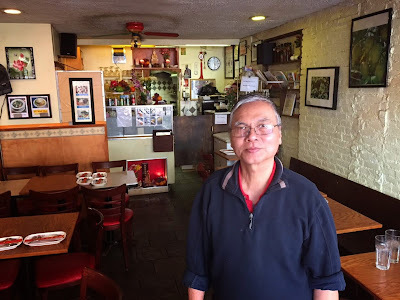 In papers filed in Manhattan Supreme Court, Chongbang says MAH Realty which owned the structure housing the restaurant caused and created "a dangerous and defective condition" and failed to warn people in the building of the hazard. MAH stands for Maria A. Hrynenko, the owner of 121 Second Ave., where two men died in the gas explosion on March 26. 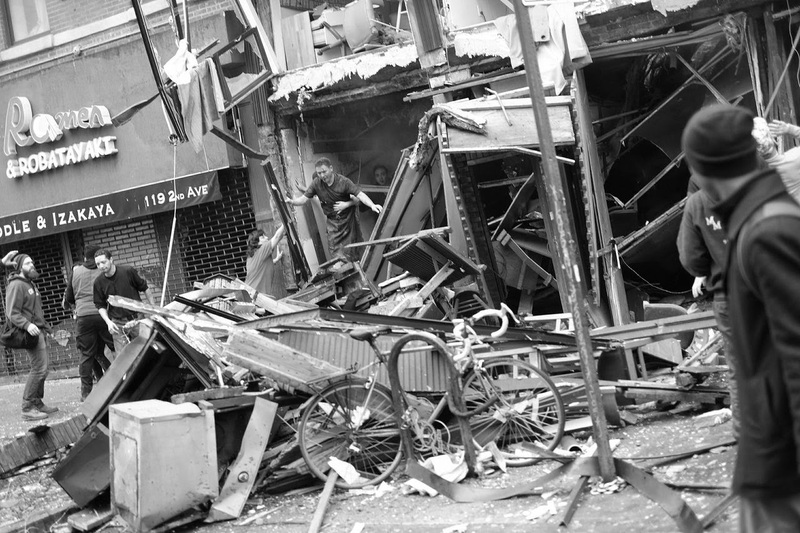 Authorities have said that an illegally tapped gas line at 121 Second Ave. may have caused the deadly blast. The investigation continues. During the explosion, Chongbang fell through the floor. His attorney says that Chongbang is too disabled to work and doesn't have a job to go to. 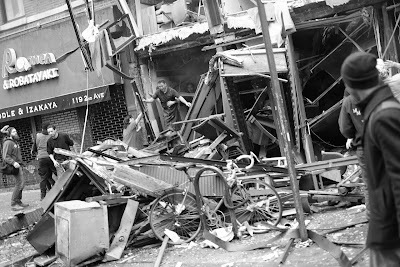 As the Daily News notes, this is the second lawsuit stemming from the explosion — and the first one involving anyone with physical injuries. 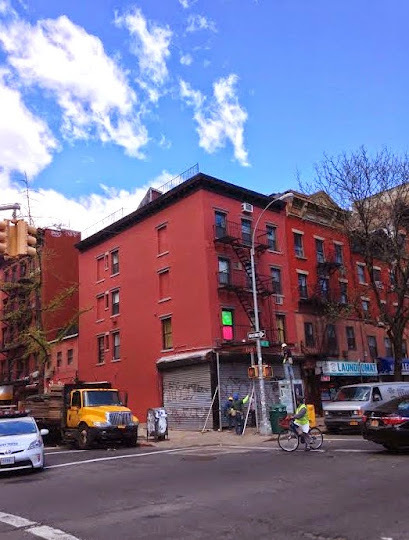 Lucie Bauermeister, 23, and Anna Ramotowska, 26, who were living several buildings away at 129 Second Ave., are suing Hrynenko, Con Ed, contractor Dilber Kukic and Hyeonil Kim, owner of Sushi Park. The roommates are each seeking $20 million. Aside from sustaining several scratches, Baumeister said she couldn’t sleep and lost her appetite after the blast and started seeing a $175-an-hour psychologist, according to the Post. One of the gems of the East Village, Jin Soon Natural Hand & Foot Spa at 56 E. Fourth St., between Second Avenue and the Bowery, predominately employs nail technicians with deep roots to Nepal. The owner, Jin Soon Choi (born in South Korea), is well-known in the beauty and fashion industry. She has three salons in Manhattan. The East Village location, which opened in 1999, was her first. Most of the employees in the salons have family in Nepal, many have worked in our neighborhood for years. 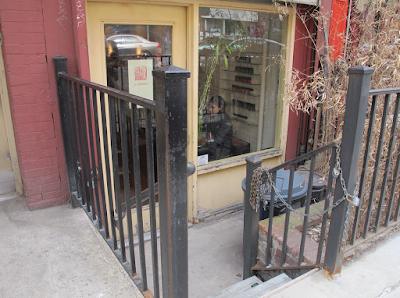 The East Village Jin Soon Spa remained open for business as the workers kept updated on the news from Nepal. Fortunately, those at the East Fourth Street location have been in communication with their Nepalese loved ones. However, with the aftershocks and the daunting road to recovery, there is ongoing concern for everyone affected by the devastating earthquake. Jin, Nandu, Resham, Laxmi, Tara, Tsering and all at Jin Soon Spa thank the neighborhood for their kind words and encourage donations to help the relief efforts in that earthquake-ravaged nation. The city reportedly gave the OK more than a week ago for residents to return to 125 Second Ave., adjacent to the three buildings that collapsed following the deadly gas explosion on March 26. Metro talks with residents in the building who report nearly uninhabitable living conditions. “It's difficult to understand why the vacate order was lifted weeks ahead of the anticipated timeline. The air inside is thick; without a face mask, nausea and headaches set in within half an hour — that's the longest I've been able to stand it,” said resident James Styron, who had lived in the building for just three weeks before the fire. “We are expected to pay rent for mid-April onward, but the conditions are (inhabitable), regardless of what city officials say. I'd invite any of them to spend the night in one of the south-side apartments, where the worst damage occurred. It might change their perspective,” he said. As Metro found: "City records show that air quality tests, conducted by the Departments of Environmental Protection and Housing Preservation and Development, were done on the sidewalk across the road, not inside the building." For his part, 125's landlord Alex Bohdanowycz said he trusts the city to lift vacate orders appropriately. “If HPD cleared it, then they’re alright,” he said, adding that only two of the apartments actually had the fire inside them, and four have long-term vacate orders on them. 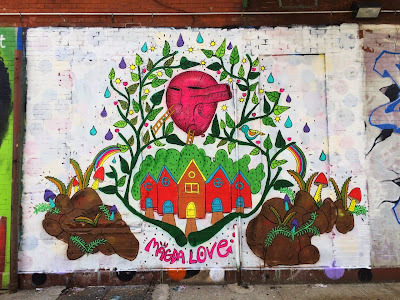 GOLES is currently working with residents to help form a tenants association and has submitted their notes to the Department of Housing Preservation and Development to try to facilitate a walk through of the building. The popular vegetarian restaurant Dirt Candy closed at 430 E. Ninth St. at the end of last August ahead of its relocation to a larger space on Allen Street. In November 2013, Dirt Candy chef Amanda Cohen told us that she was unsure what would become of the small Ninth Street location between Avenue A and First Avenue. 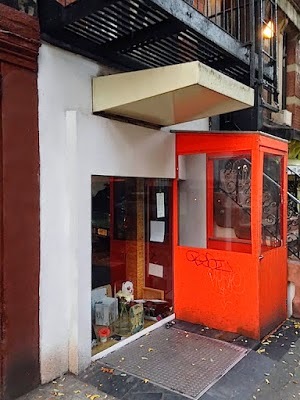 In an email to us last night, Cohen said that she sold the space, but couldn't divulge any other details at the moment. In case you missed this, BoweryBoogie has a good update on the ongoing construction drama that's having a major impact on Punjabi Grocery & Deli's business. The never-ending East Houston Reconstruction Project is killing off the 21-year-old shop's business at 114 E. First St. between Avenue A and First Avenue. As previously noted, through the years, cab drivers made up a good chunk of Punjabi's business. 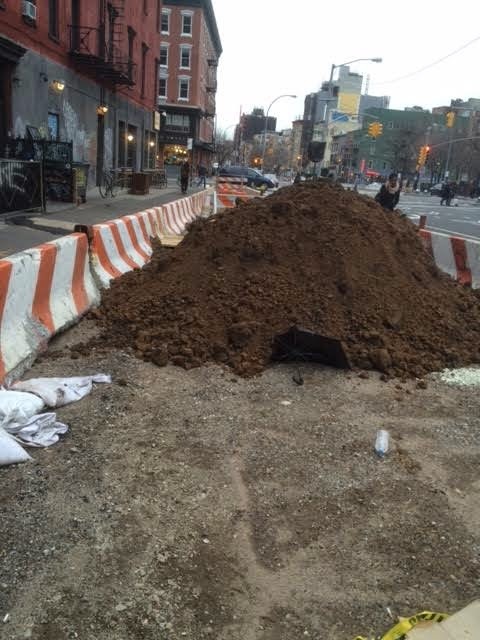 The reconstruction, however, has prevented the cabs from being able to stop by for an inexpensive vegetarian meal. Punjabi started an online petition asking the commissioner of the Taxi And Limousine Commission to approve a taxi relief stand Their proposal is to create a taxi stand comprised of seven parking spaces on East Houston and two additional spots on the bend of East First Street. The online campaign launched last July. The DOT has been unwilling to talk to, or meet with Singh, according to their lawyer/advocate Ali Najmi. Instead, the city agency is forcing the operators to wait until after Community Board 3 considers the matter next month. This directive isn’t sitting well, though, since there’s apparently been some behind-the-scenes meddling with the application itself. 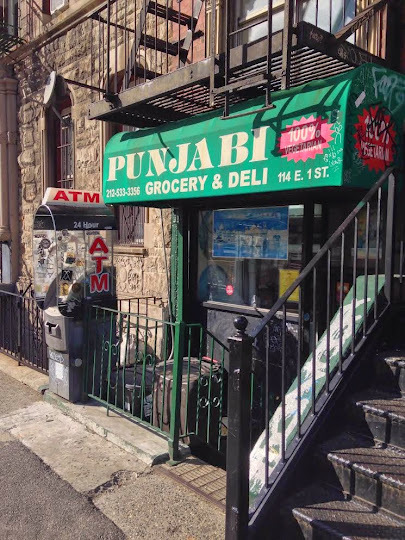 Punjabi accuses the DOT of “rearranging” their CB3 proposal – without consultation – to include a different taxi stand around the corner on Avenue A (4 spots). During the construction these past five years, Singh said that his sales are down some 60 percent. 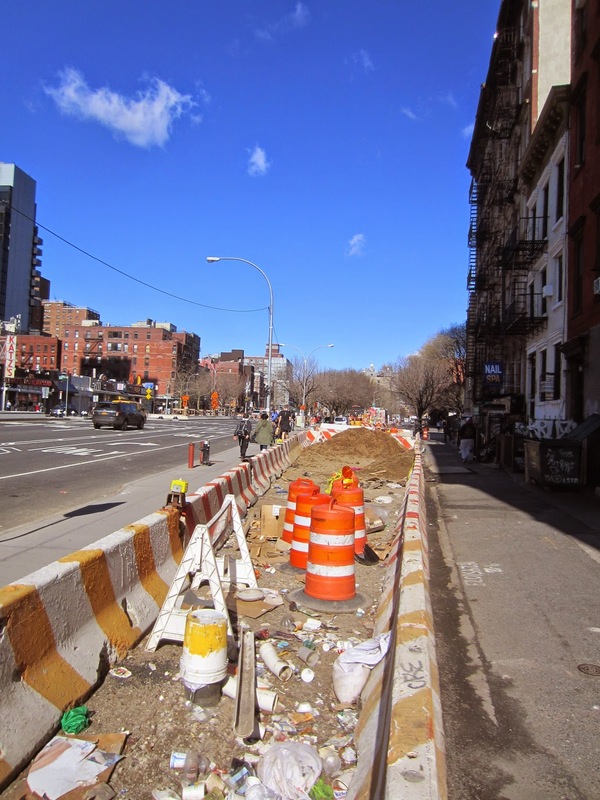 The East Houston Reconstruction Project timeline shows that workers will begin excavating and installing green street plan on First Street at Avenue A this spring. Which may explain this pile of dirt that arrived back on April 8. The 12C Outdoor Art Gallery on Avenue C at East 12th Street is showcasing a new work by Argentinian street artist Magda Love. 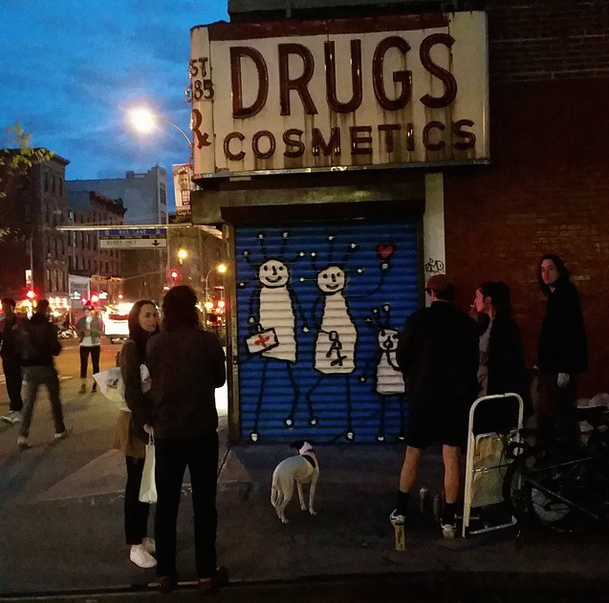 The gallery is curated by East Village resident Robert Galinsky and artists show panels every three months. There's probably a good explanation for this. 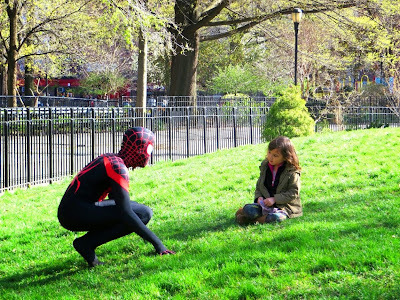 Photo in Tompkins Square Park today by Bobby Williams, who maybe could have sold this to the Daily Bugle. Update on Saturday's deadly shooting at 538 E. 6th St. 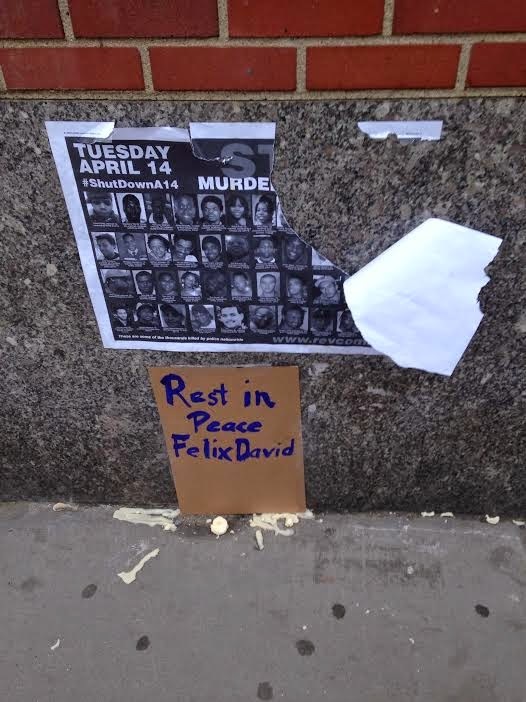 According to published reports, there are now two separate investigations into the shooting death of Felix David inside 538 E. Sixth St. near Avenue B, a nonprofit that provides housing for the mentally ill.
Police officials cited the brutality of the roughly five-minute melee that preceded the shooting on Saturday. Mr. David ripped a police radio from one of the detectives and used it to bash their heads, one official said. 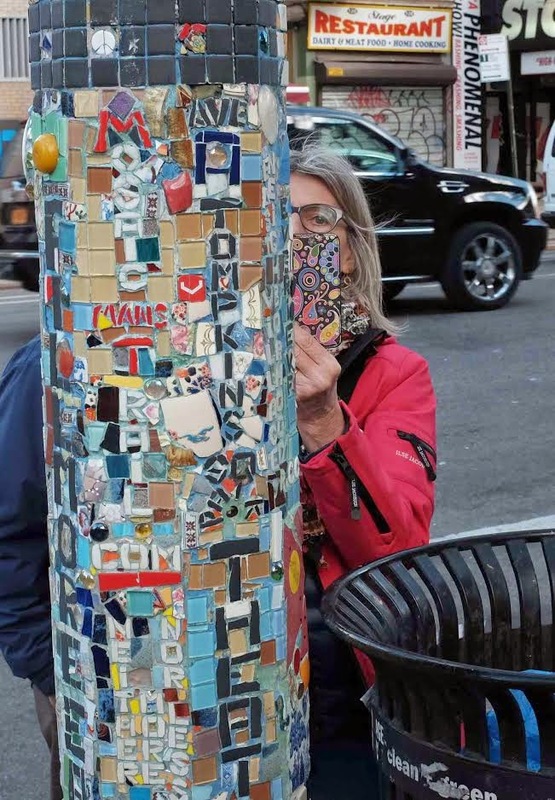 “It’s like hitting somebody with a brick,” said Joseph L. Giacalone, a former detective sergeant who teaches at John Jay College of Criminal Justice. Both detectives were bruised and cut in the face, the police said. An itinerant man with few recent family ties, Mr. David, 24, had a history of mental illness and frequent run-ins with the law, police officials said. 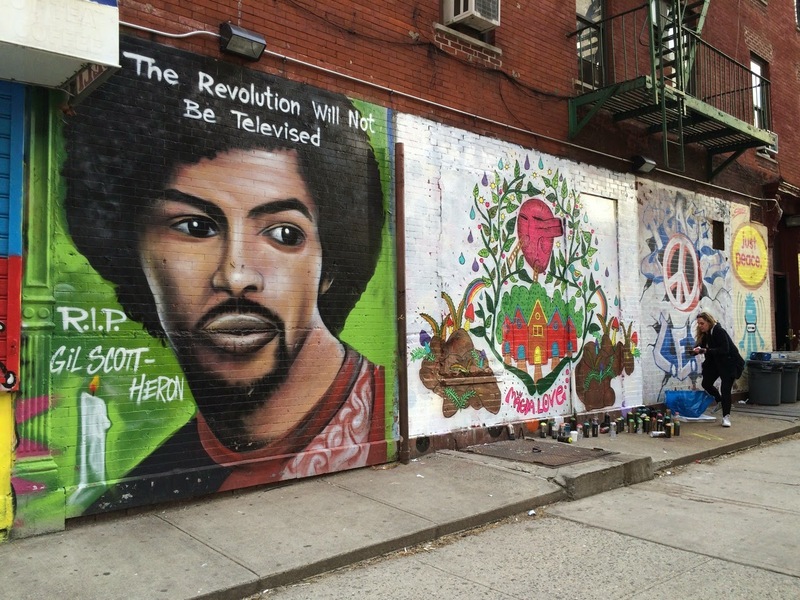 As a teenager, in 2007, he was helped by officers in Midtown Manhattan, who classified him as a runaway. The next year, Bronx officers encountered him in a state of emotional distress and took him to a hospital. He was on medication at the time, one official said. There were arrests for assault and grand larceny across the city and in Kearny, N.J. From 2009 to 2012, he had spent months, on and off, as a prisoner at Rikers Island. More recently, he lived at two different treatment centers for young people with mental illness. In total, the Daily News said David had eight prior arrests, six of which involved assault charges. The woman reported the incident to police, and the detectives attempted to arrest Mr. Felix just before 2 p.m. Saturday on East Sixth Street, officials said. The two detectives approached Mr. Felix in a sixth-floor apartment but he fled using the fire escape, officials said. The Manhattan district attorney's office is also investigating the shooting ... "a routine procedure after fatal police encounters," per the Times. The detectives have been released from the hospital, according to the Daily News. Christopher Pugliese, the owner of Tompkins Square Bagels at 165 Avenue A near East 10th Street, confirmed to us last night that he has a deal in place for a second location at 184 Second Ave. 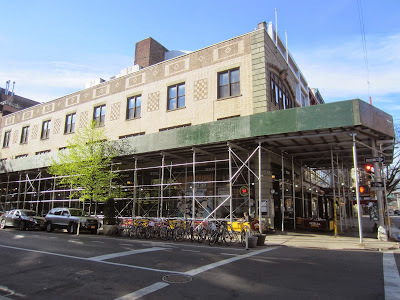 He will be taking over the space that previously housed Open Pantry, the 45-year-old coffee shop/grocery between East 11th Street and East 12th Street that closed for good at the end of January. 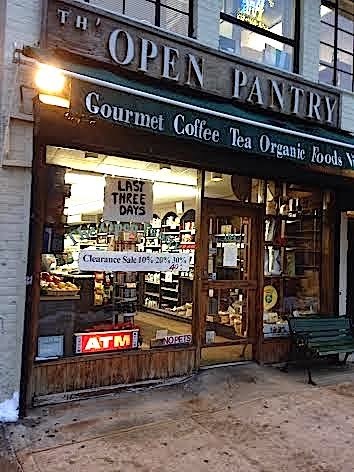 The proprietors of Open Pantry also own the building. "They specifically made it a point not to bring in a big corporate business," Pugliese told us via email. "They wanted to keep it local." "It's a go," he said. "I am very excited." 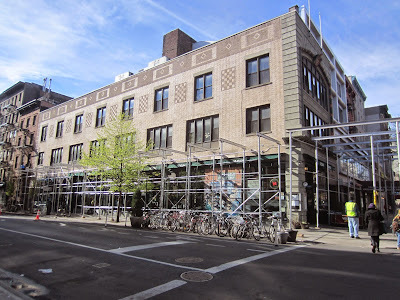 On Saturday morning, we noticed that workers were erecting a sidewalk bridge around the building that houses Veselka on Second Avenue and East Ninth Street. 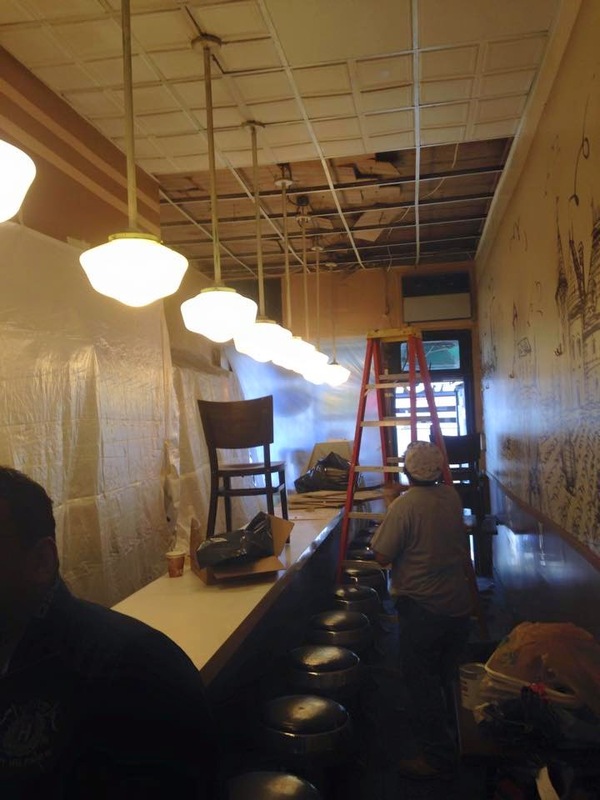 We asked Veselka owner Tom Birchard what happened. He tells us that several small pieces of masonry fell off the building on Thursday. They quickly notified the landlord, whose contractor started putting the sidewalk bridge into place on Friday. "The landlord assures us that repairs will take place as quickly as possible but it may take a month just to get the necessary permits to start work," Birchard says. "Worst possible time of year for this to happen." The sidewalk seating was able to return after workers finished the bridge.